Fractals are by their nature aesthetically robust because they emulate much of what we see in nature. 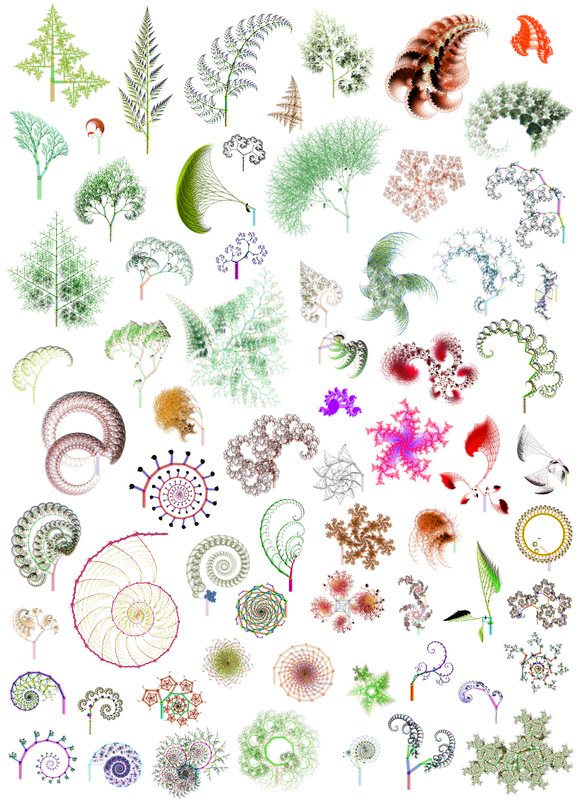 I’ve collected lots of fractals by writing a program that performs a transformation on a simple shape and repeats it until it grows into an ever increasingly complicated pattern. Various kinds of shapes are formed from the recognisable fern to the more shell-like shapes and some which look like bizarre life forms yet to be discovered on an untrawled sea bed. This is my attempt to categorise them, just as an insect collector might pin these beautiful objects to a cork board.